Judge egg slicer, cutter and pricker. 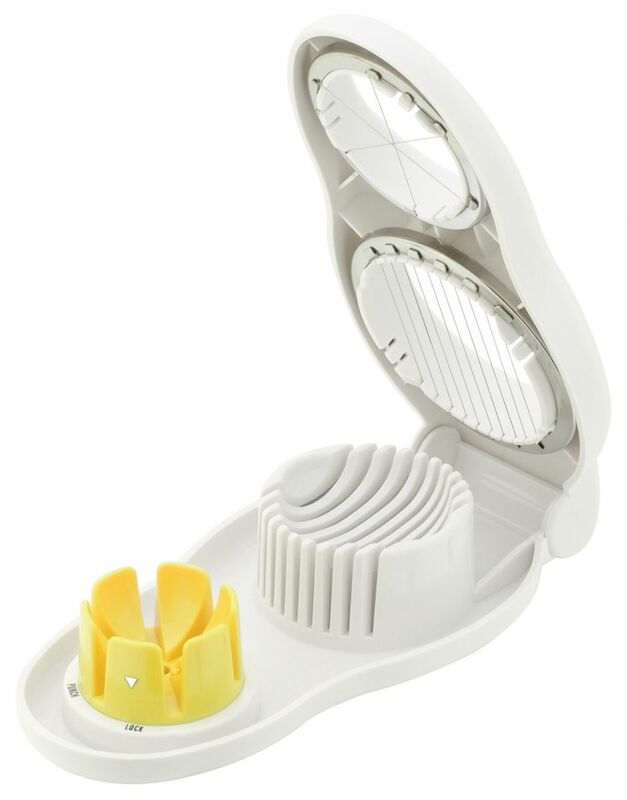 Make serving eggs easy with the Judge Egg Slicer. You can cut the eggs perfectly for salads, or slice them evenly to make the perfect egg sandwich. The Egg Slicer also comes with a pricker, which will prick a tiny hole in your egg so it doesn't crack when you boil it. Sturdy and well made, the Judge Egg Slicer is built to last, and the stainless steel wires will cut and slice your eggs for a long, long time.